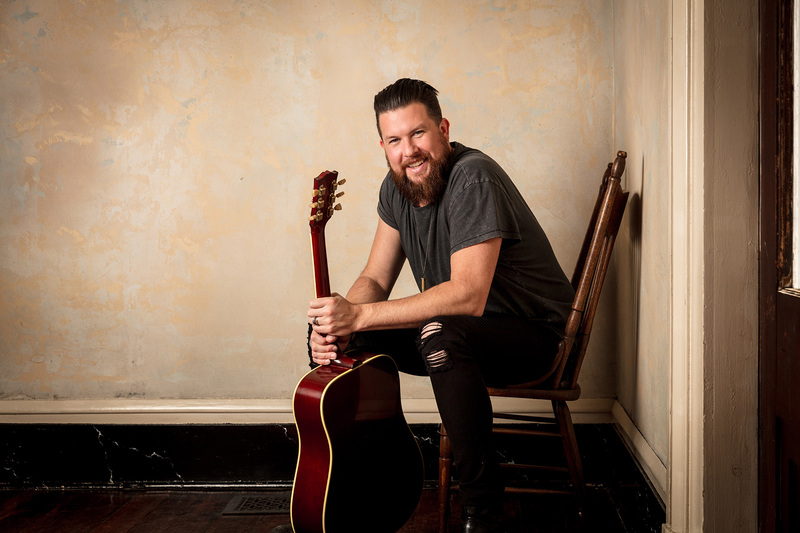 Grammy winner Zach Williams recorded his latest work, a six-song EP, in Nashville’s Harding Prison. Zach Williams never intended to become a musician — or to perform in prison. Then fate did what it does. Williams, who grew up in Jonesboro, Ark., wanted to become a graphic designer, though he also had dreams of playing professional basketball and landed a scholarship to play for a junior college. But the day before his first game, he injured his ankle. Stuck in his apartment, he looked up and saw the guitar his roommate brought from back home. That’s when he fell in love with music — when the direction of his life changed. “My dad was a musician. He led worship at our church. So I was around it. I could remember him playing guitar all the time,” said Williams, who was brought up in a strong church family, though he started to drift away from that upbringing and began hanging out with the wrong crowds as far back as high school. Williams toured with a Southern rock band before making the the switch to Christian music. It was through his dad that classic and Southern rock permeated his life and became such a big part of his musical identity. With 30 hours left to complete his graphic art degree, Williams gave up college life and, carrying his guitar around everywhere he went, chased that rock star dream. He would marry, then divorce and eventually hit the road with his Southern rock band, Zach Williams and the Reformation. He spent a decade on the road, playing, touring (including a couple of European tours and a stint with the USO) and living that gypsy rock lifestyle. “I struggled for years with drugs and alcohol and keeping myself together,” Williams said. It was in 2012 on a tour bus that Williams gave up that hard living. 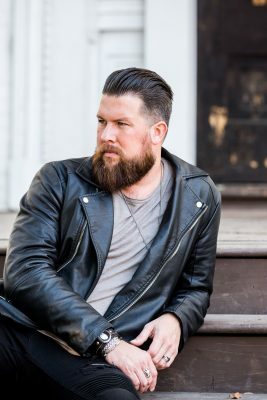 He heard Big Daddy Weave’s song “I Am Redeemed,” quit the band he was in and walked away. Unsure of himself or his footing in life, he decided that music might not be what he was meant to do. He quit music for several months, returned home to Arkansas, started working for his dad in the construction industry and found his way back to church with his family — he had since remarried. He would become his church’s worship minister and the director of the Refuge Campus of Central Baptist Church in Jonesboro. But music would return to him outside of his church’s walls at around the time he and his wife started getting involved in prison ministry. But he did visit a prison in Arkansas, where he and his wife told their stories of what God was doing in their lives. The response is something he never will forget. The men and women he visited in prison had made bad decisions – something he related to – and he said his heart broke for them. That was the day, he said, he learned the true meaning of grace. His biggest hit, “Chain Breaker,” is one of those songs that followed his hard-living life as a rocker and kicked off his new life as a Christian music artist. It’s about addiction, being lost and trapped in a bad place and realizing there’s a better way: “If you’ve got pain, He’s a pain taker/ If you feel lost, He’s a way maker/ If you need freedom or saving, He’s a prison-shaking savior/ If you’ve got chains, He’s a chain breaker … there’s a better life/there’s a better life,” go the lyrics. The song, Williams’ debut single for Provident Label Group, held the No. 1 spot on the Billboard Christian Airplay Radio chart for 15 consecutive weeks, setting the record for the longest-running No. 1 for a debut single from a debut artist. It took Williams and co-writers Jonathan Smith and Mia Fieldes just 15 minutes to write. Williams said he was so lost in his life as a rock musician that he wasn’t sure he wanted to perform anymore. Then he returned home to Arkansas and found his love of music again. The opening line, “If you’ve been walking the same old road for miles and miles,” came pouring out of him, and his new walk in life began. Williams said he started hearing from so many people who identified with the song and experienced those same feelings of being lost. He would follow “Chain Breaker” with his second single, “Old Church Choir,” which held the No. 1 spot on Billboard Christian Airplay Radio for 20 weeks. 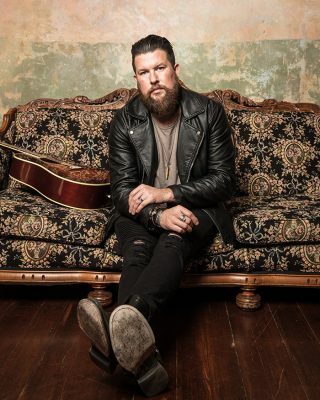 His debut album’s success came with a 2018 Grammy win for Best Contemporary Christian Album and two 2017 Gospel Music Association Dove Awards for New Artist of the Year and Pop/Contemporary Song of the Year. Most recently, the American Music Awards nominated him for Favorite Artist in the Contemporary Inspirational category. Williams knew “Chain Breaker,” with that line about God being a “prison-shaking savior,” was one of the compositions he had to sing at Nashville’s Harding Prison, where he performed for 250 men incarcerated there. He performed as part of a partnership with Men of Valor, a nonprofit group committed to helping incarcerated men discover God and equipping them to re-enter society. As for Williams, he continues to find the light in his life again. When he’s not involved in church, family or prison ministry, he’s in the kitchen cooking up a meal. His TV, he said, is constantly tuned to the Food Network. Following the Air1 Positive Hits Tour stop — he’ll be sharing the GCU Arena stage with We Are Messengers, Joshua Micah, Aaron Cole and Branan Murphy — he will co-headline a tour with Matt Maher this fall and will join For King & Country for a Christmas tour in the winter before heading out with Casting Crowns in the spring. Williams said God had a plan for him – and He has a plan for all of us, even for those of us who have lost their way.